Don't like the colour scheme, but interesting offset option for a cheap 12 string conversion, if a bridge would fit. Blimey, there are some cheap RRPs there. Under �120 for a Mustang? Seriously? A hardtail JM does look very cool though, depending on what other colours they offer. Black-on-black is kinda dull, and I wouldn't put money on the pickguard swap being straightforward either. The name "Affinity" screams "none of the parts are interchangeable with anything else anywhere" to me. Real want Mustang. Wanted to build a single humbucker hardtail Mustang for ages. ohh look they put the switch in the right spot. My experience with Squiers across the range is all their parts are interchangeable with "import Strat" parts. 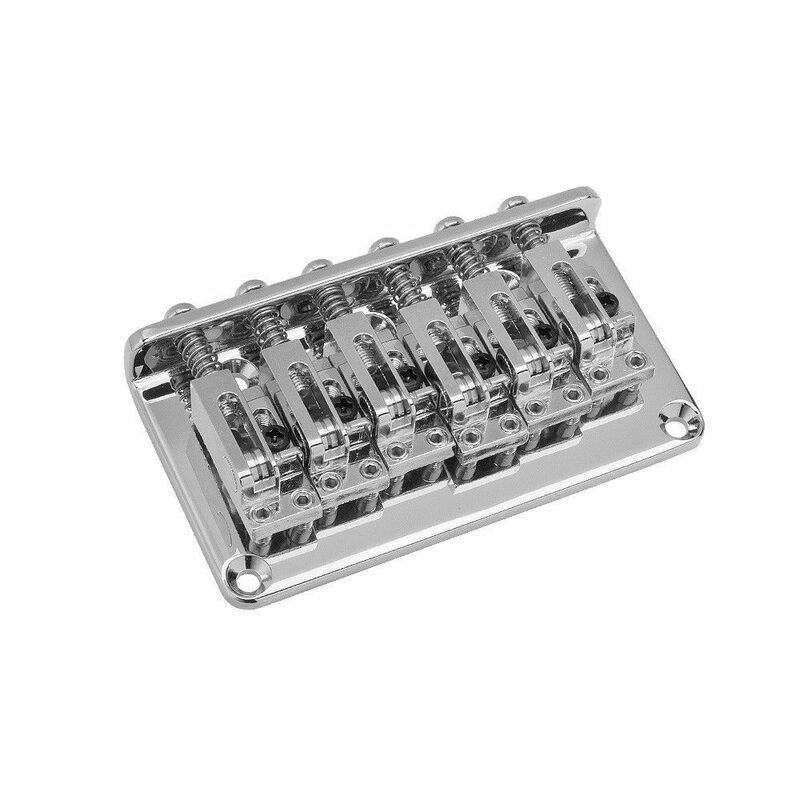 So if there's such a spacing for the Gotoh bridge (10.5mm?) then happy days. I still want to create a 12 string version of my Bratomaster with a working Jazzy trem drilled for extra holes at the tailpiece. The deal breaker is finding a TOM with 12 intonating saddles that would tolerate tremolo use, and which costs less than an arm and a leg. I like the white hardtail jazzy. I would like the red more normal Jazzy if the tremolo hadn't been moved forward. The black with blocks hardtail Jazzy is kind of cool looking also. I'm totally buying the white hardtail Jazzmaster and modding it Tom Delonge style. I might get the stop tail Jazzmaster and throw a Bigsby on it too. I can't wait for these to come out in the US. They're already available in Europe. Something like this is PERFECT for someone's first guitar. Looks cool, balanced and comfortable to play, no fussy vibrato to go out of tune all the time, no discouraging hum from the pickups, simple easy to maintain electronics. I like the modern 12 " radius..you easily can mod it with a Jazzy trem and any proper 12 " ( roller) bridge.. They done good. Must be listening to us for a change? ok, today I got mine..nice guitar for the money..